The European Tour has just two events left for players to automatically qualify for the Ryder Cup, starting with the Czech Masters at Albatross Golf Resort. There are two main contenders fighting for some good performances to impress Ryder Cup Captain Thomas Bjorn and they are also the two tournament favourites. Thomas Pieters is 13/2 to win this week, he has won here in the past and also finished runner-up. While Eddie Pepperell is also in with an outside chance of making the European Ryder Cup team and is 16/1 to win. Last season Haydn Porteous won the event to claim his second European Tour victory, the South African is 40/1 to defend. The GM Tipster is having another good season, check out his performance to date at our golf betting tips homepage. Matt Wallace 4 points each way at 22/1 with Sportnation.bet – Has won twice this season and put in a good perforance at the USPGA Championship. Struggled over the links part of the season, but should find the course this weke much more to his liking. Scott Hend 2 points each way at 40/1 with Sportnation.bet – The Aussie is quite long odds for this field in my opinion, been having a slightly quieter season than in previous years but is still 72nd on the Race To Dubai and will be hoping to push to get into the top 60 in the coming weeks. Tom Lewis 2 points each way at 55/1 with Sportnation.bet – The Englishman was third here last season and has been trending in the right direction of the past couple of weeks. This is a big chance for him to have another big finish. Liam Robinson 1 point each way at 500/1 with Sportnation.bet – I would be fibbing if I said I knew a great deal about the Englishman, but Editor Mike Harris played golf with him last week and said he was hitting it well. Played in this event last year, and is monster odds… so why not? Please do bet responsibly. Terms and Conditions Apply. 18+. 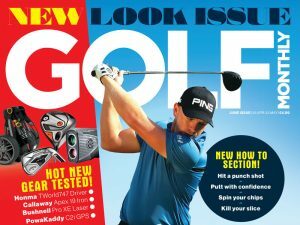 To keep up to date with everything on Tour make sure to check out the Golf Monthly website and social media channels.